This volume represents a collection of the reports for the Congress emanating from the United Kingdom on the majority of the topics which were subjects for the thirteenth International Congress of the International Academy of Comparative Law. This Congress was held in August 1990. It includes two comparative reports by general rapporteurs, and twentythree further national reports describing the legal position in the United Kingdom. The full price for this book when not purchased via the website is: Members £15 Non-Members £25. 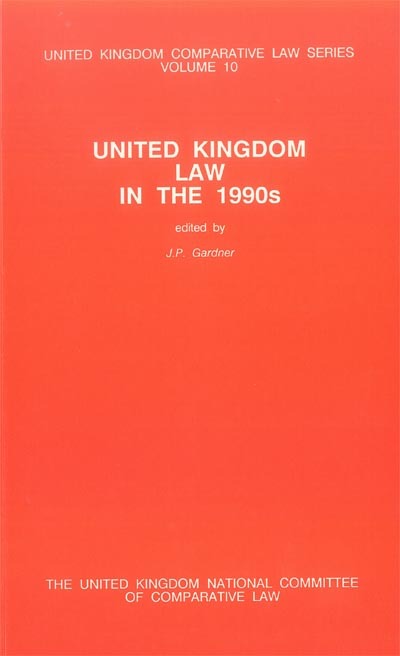 "UK law in the 1990's"